Spring is here so here I am for another tutorial for a Flower Beadwork Bracelet! Are you ready? I love wearing jewels with flower patterns and beautiful pastel colors this period, that’s why I have chosen for this bracelet pink and green beads. The technique I have used is the right angle weave, meaning using wire and beads like sewing them. Let’s start it…. First cut a piece of the wire, almost 80cm. Double the wire and put the lobster in the middle of it and stabilize it with a crimp bead. Now it’s the hard part…the flower pattern. Start by passing both the wire ends through a green crystal bead and pull them tightly. On the left wire put a pink bead and then a round seed bead and an acrylic bead. On the right wire string only one transparent acrylic bead. Continue to pass the two wire ends though on seed bead from two directions. On the left wire string one transparent acrylic bead, while on the right wire string one transparent acrylic bead and a seed bead and a crystal bead. Again pass the two wire ends through one seed bead from two directions. Repeat the above steps until you will make a bracelet in your required length. Isn’t it like having too many daisies together? Let’s finish it now. 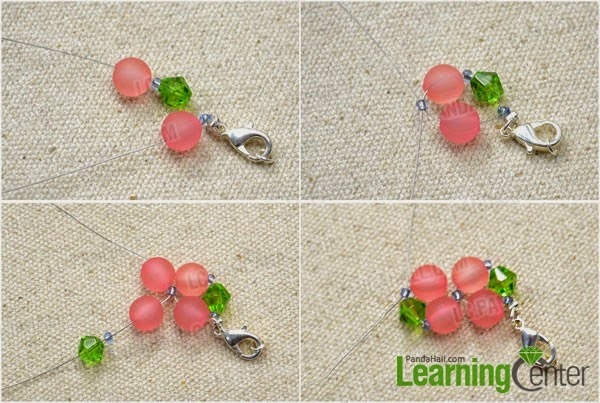 Grab the remaining wire ends and pass them from a crimp bead and then thread through the clasp. Pass back through the crimp bead and tight the wire. 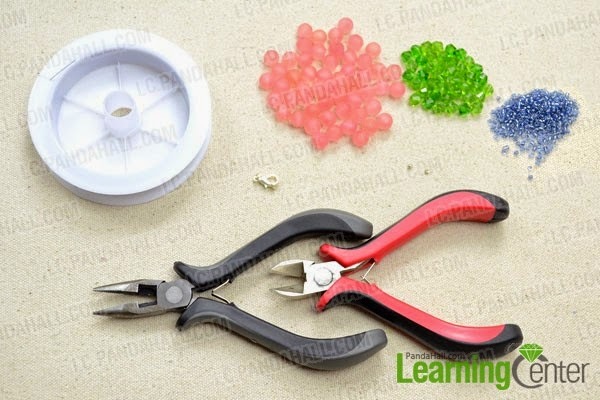 Squeeze the crimp bead with pliers to make it stable. 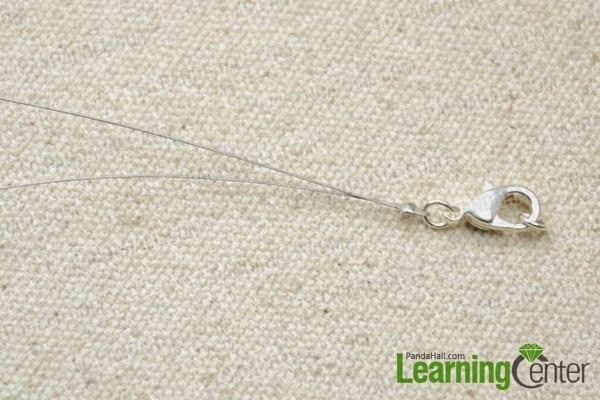 Last part, get the remaining wire stuck by threading through adjacent beads according to the beading path. I know it might consider it difficult, but actually is really easy since you repeat the same steps. Make a couple of flower patterns and you will see that this technique is really easy. And with amazing results! I love this bracelet since it is full of Spring! What do you think? Ok… actually I consider this technique really difficult for me, but as April says, it might be just the first though. After a couple of flowers it might be like sewing…easy and I enjoy it! And the bracelet is so cute! What do you think?